OMAHA - Abusive head trauma is the leading cause of child abuse death within the U.S., according to the National Center on Shaken Baby Syndrome. Cases of abusive head trauma (AHT), also known as shaken baby syndrome (SBS), are reported about 1,300 times a year nationally. A quarter of the children in those cases die, and 80 percent of survivors are left with lifelong disabilities. Between 2010 and 2016, 11 infant deaths in Nebraska were associated with AHT. Perhaps the most sobering statistic: 100 percent of cases are preventable. 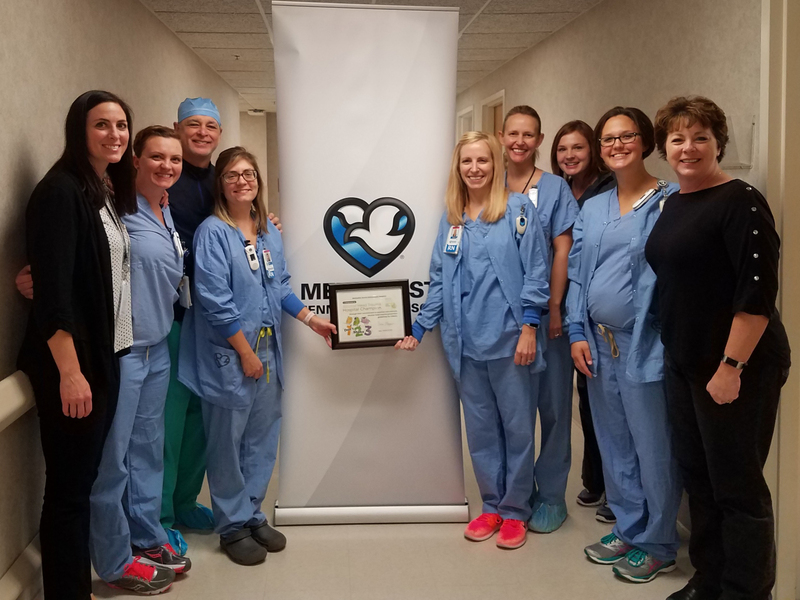 In their effort to be part of the solution, Methodist Women’s Hospital and Methodist Jennie Edmundson Hospital recently were named education champions through the Nebraska Safe Babies - AHT/SBS Prevention Hospital Campaign. They are the first such hospitals in the Omaha metro area and among nine total hospitals to achieve that recognition. Twenty-two other hospitals have pledged to become champions. Methodist Women’s Hospital also was a pilot hospital that assisted with the development and rollout of the statewide AHT/SBS campaign, which provides evidence-based education and training to parents of newborns and hospital birthing staff. 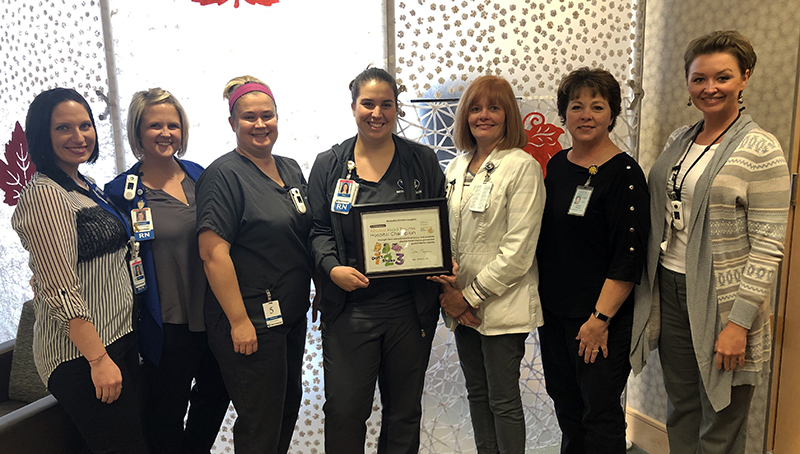 At Methodist Jennie Edmundson Hospital, the champion designation goes hand in hand with previous efforts by staff to increase awareness of shaken baby syndrome. Formed in 1997, the Shaken Baby Task Force offers free educational materials to schools, hospitals and groups across the country; has a website, safebaby.org, with information for parents and educators; and offers a 24-hour Crying Baby Helpline that can be reached at 1-866-243-BABY (2229). The statewide AHT/SBS campaign was launched earlier this year by the Nebraska Department of Health and Human Services in conjunction with the Nebraska Hospital Association, the Nebraska Chapter of the American Academy of Pediatrics, the Nebraska Perinatal Quality Improvement Collaborative and the Brain Injury Alliance of Nebraska. The campaign consists of a five-step plan aimed at getting its AHT/SBS prevention message to the parents of more than 26,500 newborns across the state each year.